Northglenn Tax Service has been providing tax preparation to Northglenn, Thornton and the surrounding North Metro Denver area since 1979. 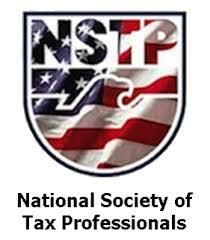 We specialize in preparing Federal and State individual income tax returns for all 50 states. We also prepare tax returns for sole proprietors, small farms, small corporations, partnerships, estates and trusts. Interviews are by appointment only. We strive to build long-lasting relationships with our clients and assign you to the same Tax Preparer every year. How does this benefit you? You can rest assured that you will have a Tax Accountant who is current on tax law and specializes in tax preparation. We also are able to deal directly with the IRS on your behalf. For more information on tax return preparers, go to irs.gov. Northglenn Tax Services if fully accredited by the BBB with an A+ rating.